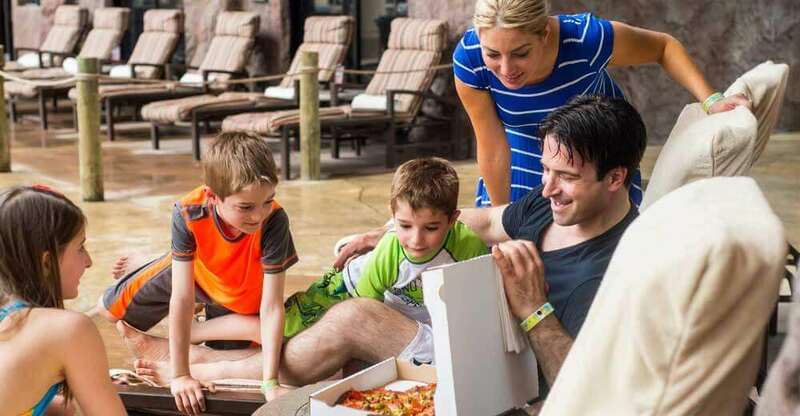 Forget curbside – we offer POOLSIDE DELIVERY! 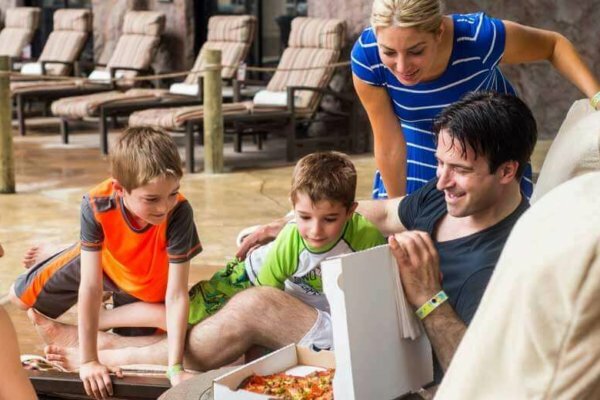 Located just off the mezzanine level of the Klondike Kavern Waterpark this is home of our now famous Golden Nugget Pizza! Try one of our specialty pizzas topped with real Wisconsin cheese curds and don’t forget dessert with our S’mores Campfire Dessert Pizza! These hand-crafted pizzas and bread sticks are served at the counter by the slice or entire pie. Stop in or have your favorite pizza delivered today! Klondike Pizza Kitchen is located on the Klondike Boardwalk which is also home to Yukon Yogurt and Klondike Kate's Libations.